The CB1100 pays homage to Honda’s long line of capable, reliable and fun street motorcycles. With an 1140cc, fuel-injected inline four, the CB1100 is a modern bike for riders who love to ride. Precision and power are second nature to this beast of a supersport motorcycle, while its agile chassis and responsive suspension ensure a smooth ride for comfortable travel around town or on weekend rides. 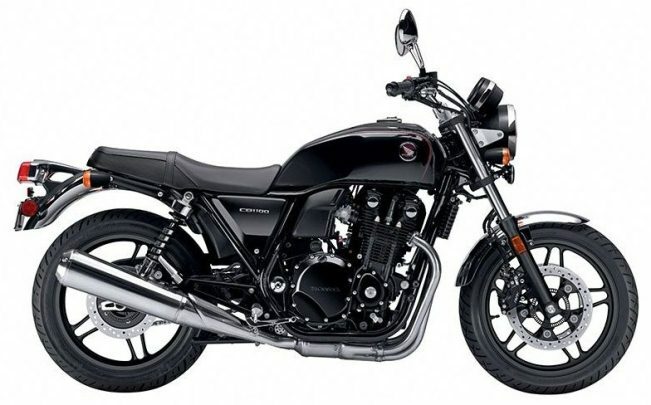 The Honda CB1100 has a generous helping of all the good stuff, and a whole lot to offer. The 2014 CB1100 edition boasts a new six-speed transmission with great handling and plenty of power. The timeless in-line four engine displaces 1140cc and includes air cooling to look exactly like a cruiser motorcycle should. An engine this size packs the power you need for any adventure – from a weekend getaway or a spirited street ride. Classic inline-fours featured twin-loop full-cradle steel chassis in black. Sure it looked great, but CB1100 offers a completely modern chassis design, too. With an aluminum swingarm, 41mm front fork, cast wheels and polished aluminum engine covers, you’ll quickly discover that the supersport motorcycle offers plenty of style along with performance. And just like the classic variation, the CB1100 is comfortable too. Whether you ride it for 15 minutes or 5 hours, you’ll see that it’s one of the easiest-to-handle machines in any class. The new CB is a cruiser motorcycle that you just hop onto like you used to, especially when you have no particular place to go. Completely nostalgic, the CB1100 is also super-functional, easy-to-ride and just asking to take a place in your garage.